If you are Kathleen Charlotte, please join here and update your profile! Updates to Kathleen Charlotte's profile since your last visit are highlighted in yellow. 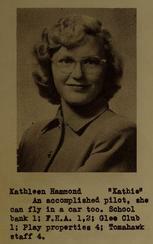 Kathleen Charlotte Hammond Conklin added a photo to profile gallery.